Whether we realize it or not, we are always telling stories. On a first date or job interview, at a sales presentation or therapy appointment, with family or friends, we are constantly narrating events and interpreting emotions and actions. 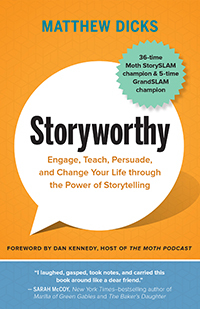 In his compelling new book, Storyworthy: Engage, Teach, Persuade, and Change Your Life through the Power of Storytelling, storyteller extraordinaire Matthew Dicks presents wonderfully straightforward and engaging tips and techniques for constructing, telling, and polishing stories that will hold the attention of your audience (no matter how big or small). 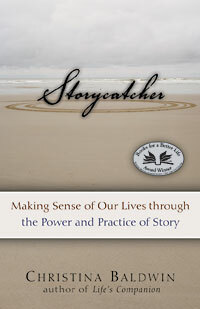 He shows that anyone can learn to be an appealing storyteller, that everyone has something “storyworthy” to express, and, perhaps most important, that the act of creating and telling a tale is a powerful way of understanding and enhancing your own life. 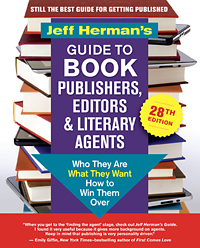 Every November, thousands of writers participate in National Novel Writing Month, or NaNoWriMo, during which they aim to complete a 50,000-word first draft of a novel in 30 days. 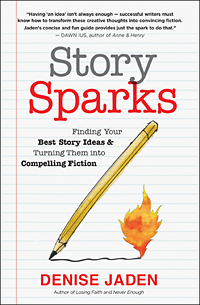 With this year’s NaNoWriMo quickly approaching, we wanted to share an excerpt from Story Sparks: Finding Your Best Story Ideas and Turning Them into Compelling Fiction by author Denise Jaden as inspiration for those who are participating. 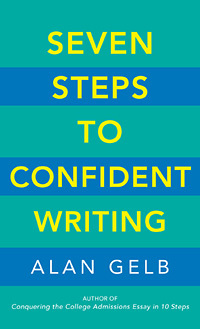 Practical and inspiring, Jaden’s approach celebrates the imaginative sparks that make innovations of all kinds possible while pinpointing the precise tools writers need to fan their unique creative flames. We hope you’ll enjoy this excerpt, in which Jaden shares how to cultivate your writing passion. And if you want to take the inspiration further, Jaden is offering a “Daily Inspirations” email for writers fast-drafting a novel during NaNoWriMo this November. Sign up here. Writing teacher and author of The Story You Need to Tell: Writing to Heal from Trauma, Illness, or Loss Sandra Marinella, MA, MEd, has presented hundreds of workshops to veterans, educators, and cancer patients. In this inspiring conversation about the transformational power of expressive writing, Sandra offers dynamic methods we can use to understand, tell, and edit our personal stories in ways that foster resilience and renewal. She also shares her own experience of using journaling and expressive writing to navigate the dark nights of her soul, including breast cancer, postpartum depression, and more.